Flowers: moms love them! They're the most popular gift on Mother's Day. 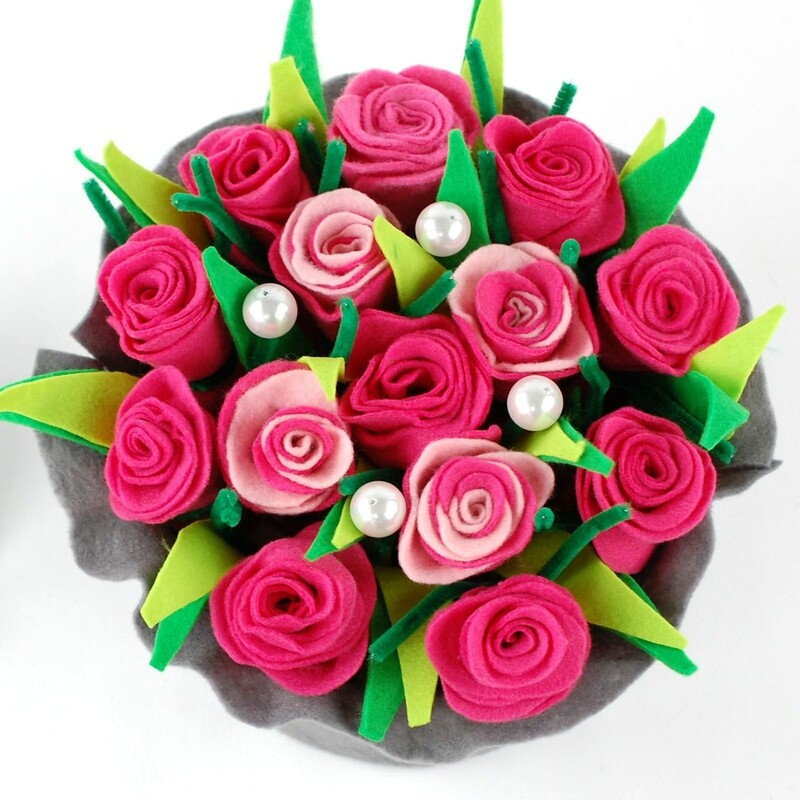 Why not pamper your mom with a beautiful, home-made felt flower arrangement this year? It's easier than you think with the help of this Mother's Day DIY project. 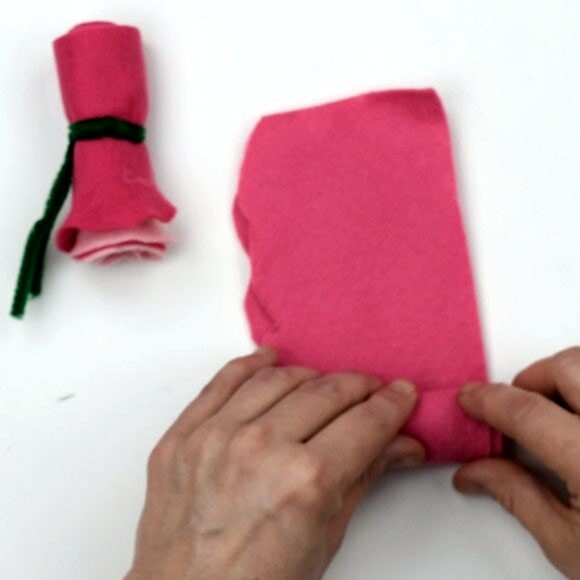 Start by tracing the pattern of the rose petal onto the felt. Next, cut the rose petal out. You will need one sheet of felt for each rose. Cut out the green leaves now too. 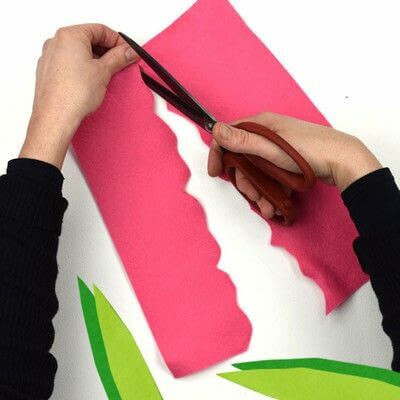 You will need one light-green and one dark-green sheet of felt for the leaves. 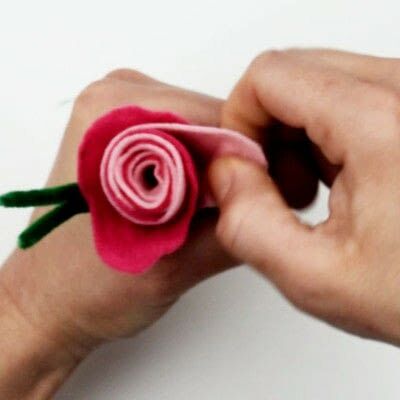 Place one rose petal on top of another, roll them up and then secure them in place with a pipe cleaner. Use two different colors of felt to create bi-colored roses. 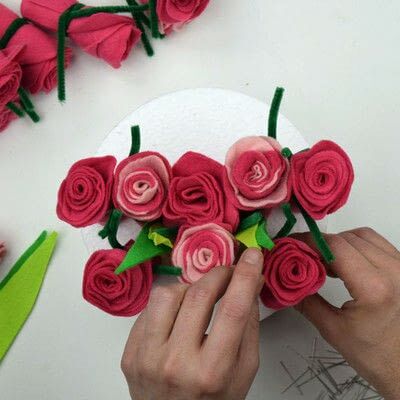 Pull on the rose petals a little to tweak them to create a beautiful rose shape. Repeat all of the steps above until you have 15 little roses. Take the round styrofoam shape and insert a rose into the middle of it. Use pins to secure it. Position the other roses around the first rose. Insert some green leaves in between the roses here and there. Last but not least, add some pearls, stuck onto pipe cleaners for a great finishing touch. You now have a flower arrangement that you've made all by yourself. 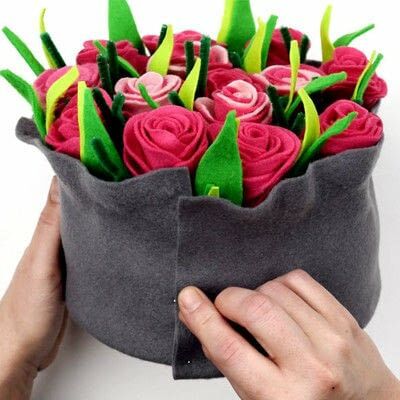 Use two gray sheets of felt to finish off your flower arrangement. Fold over the long side of each gray sheet until it's 9 cm high. Pull on the top edge of the sheets of felt a little to create a wavy edge. 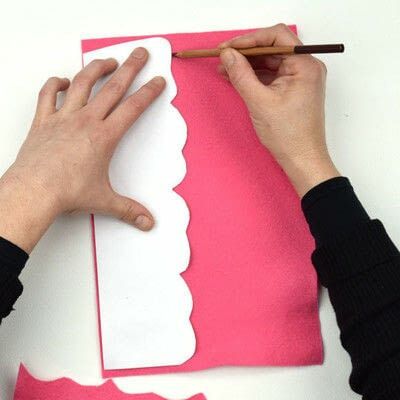 Use pins to attach the sheets of felt to the side of the styrofoam shape.